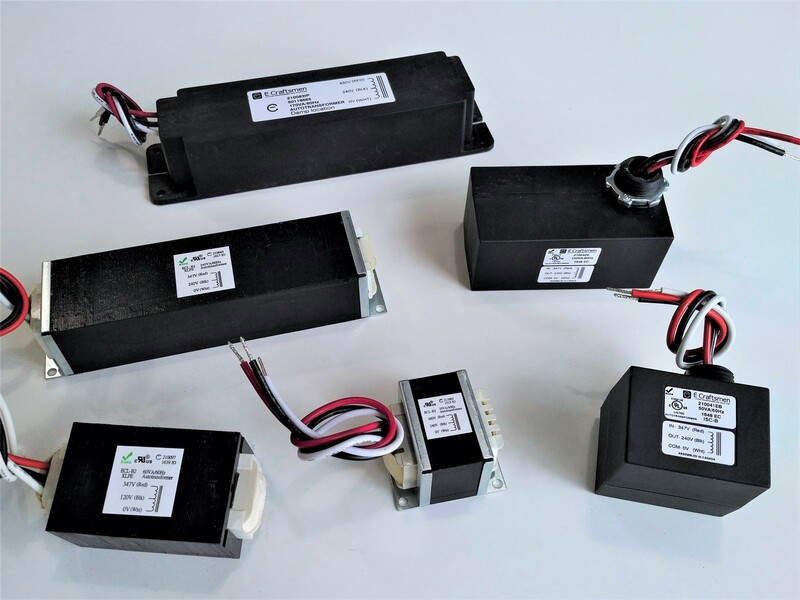 "Slim Line" LED Lighting Autotransformers are used to convert 347V, 480V or 277V source electrical supply down to 120V or 240V. UL Approved for both U.S. & Canada with Class B (130C) insulation. A variety of sizes and form factors with outputs designed to suit your specific application! Available as "Open Type" for internal-mount applications (order with or without mounting brackets) or as "Enclosed Type" for external-mount IP66 outdoor applications. Refer to the Slim Line table of models for further information - simply click on the model number for detailed specifications.